This will tell you how everything works, here on Mockingjay Power. From reapings to interviews to the victors, this guide tells you everything you need to know. In each district, I will go around and post the names of people who currently reside in the district, I will wait for 3 days for people to go around and add their name multiple times for tesserae. For every 3 tesserae you ask for, you get 1 ticket. The most tesserae you can ask for is 12 per hunger games. Depending on your character's age, your name will go in a larger amount of times if you are older, like in the books. Since some districts have few or no people in them, I have created a special fill-in tribute called a Blank. Blanks are random names that are generated to be included in the reaping. All blanks automatically die during the Bloodbath at the cornocopia. 3 days after the reaping announcement is made, hopefully everybody who wanted tesserae has requested it. If you haven't, sorry, it's too late now. After the reaping, the people of that district's names go in, including the blanks. 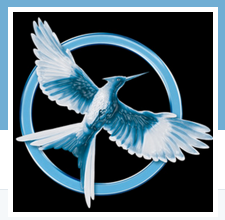 I will use a site called randomizer.com to determine who the tributes will be. The tributes will then be announced on a Capitol Broadcast, and the interview stage begins. On the train, every tribute may talk to all the other tributes. It is just a way for you to discuss the games and choose allies. The train ride is not required for tributes, only optional. And remember, having allies means that other people will help you survive, but sometimes for a cost. It is during the train that Career packs are chosen, the Careers (Districts 1 & 2) may chose who they want to be in the Career pack. more people can be added to The Career pack later, after training scores as well. Interviews will be hosted by me, since there is currently no interview host. I will make a new interview subject, and call out the names of the people I'm going to interview. Blanks will not have interviews, but there existence, name, and district will be mentioned where their interview would go. I will ask them a few questions, and they will answer them. During interviews and hunger games, please try to be active. If you become inactive during this event, please know that your character will be removed and replaced with a blank. During the interviews, you're clothing will be described by the interview host, so you know what your wearing. Then, below that, make the message what you do. So, you might right, if your characters name was Theodora, and she likes sword throwing, Theodora walked over to the Sword Throwing station. She grabbed a sword in her hand, and threw the sword. You MAY NOT say how it lands or how well it is thrown.You can do multiple things and describe them in detail. Remember, you want to get the Gamemaker's attention. (And, yes, there is a force field in front of them.) Training scores will be publicly announced in The Interview Theatre by the Head Gamemaker. IF YOU DO NOT send a message about your private training, then the Gamemakers will automatically give you a score of 4, which is considered low. Remember, the higher your score, the more sponsers you'll get. Each Hunger Games, a new topic is created under the "Cornocopia" forum. All "blanks" die during the bloodbath, nobody else does unless they want their character to die, which they can request. This makes the Hunger Games go on a bit longer and it makes them more fun. The Gamemakers will list all the supplies there. If there is more than one of something, they will post it twice. Based on your training, the Gamemakers will have included special weapons that you might find useful. They way you get a weapon/backpack/supply is to post below the list and say "I take..." then say what you want. You can get two things in one post request. Then you have to wait for somebody else to request things. Know that the supplies will begin to suddenly disappear, this is because Blanks are taking them, and when the Blanks die these supplies and weapons leave the game. The Gamemakers will make a list of what each player has taken. The Gamemakers add on to the list when you get stuff from sponsers. During the Games, every time you roleplay, you are expected to list everything you currently have at the top of your post IN BOLD. Remember to be honest! Press the button with a B on it that is circled above! * Items, or special abilities are used in actual battle. Depending what each is worth, it will make your chances higher. It does this by adding on to your dice role. When you role the dice, normally that would be your chance. 1 or 2 you loose. 5 or 6 you win. 3 or 4 you're both injured, or if it was natural, then you are moderately injured. Your special abilities will be listed on your profile and on the right side of your messages every time you post. REMEMBER: If you do not RP for 4 days, then your character becomes injured, and can only be cured with medicine (simple and advanced both work). If you have trouble getting on while the games are in session, email me at kokatniss@gmx.com If you know that you are going to be away for a certain time, please inform me, and I'll see what we can do. If you role a 1 with dices role, you loose and you die. If you role a 2, then without Advanced Medicine you die. You can buy Advanced medicine up to two days after you roll the two. When your character dies, they leave the games, but that character still lives on in your district. That way, you don't have to remake your character again and again. If you want you character to really die at any point, then roleplay your death and you get to make a new character. You can by comfort items from the Ticket Shop, if you want to "sponser yourself." Also, Capitol Residents and Admins will, if they like you and your interview, give you some gifts. But remember, we can't save everyone! It has been Updated, if you have not read it yet, read it now.